Corporate money has targeted prominent environmentalists and national environmental groups in a series of ads that are virulent in their anti-environmental message. Let's take Yoko Ono as an example. Yoko Ono and Susan Sarandon have recently joined forces in a music video opposing fracking. But would you take advice from the woman who broke up The Beatles? Of course not! What does she know about fracking, either? And how about Robert Redford? Redford has just cut five anti-fracking ads. But we know what Redford really is, don't we? 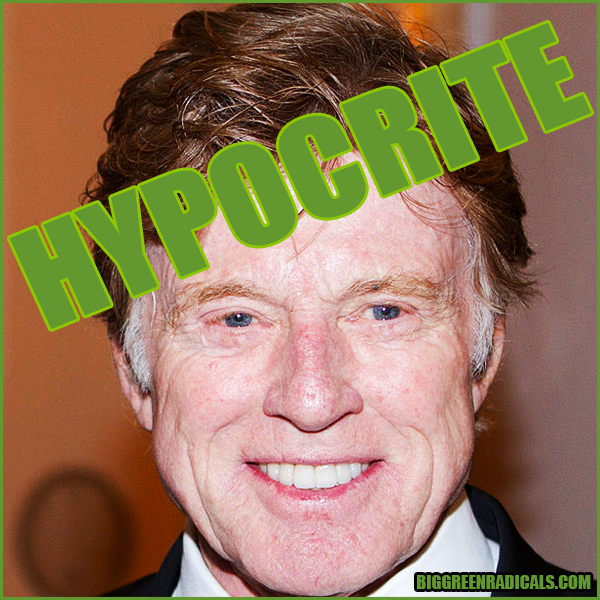 That's right, Redford is just a hypocrite. 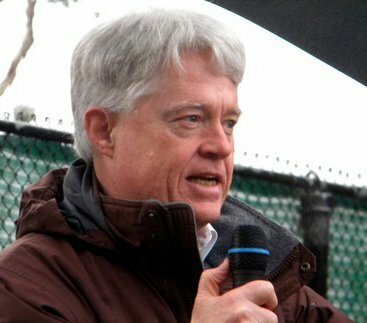 According to the Big Green Radical ads, Redford owns three houses, drives SUVs, and regularly flies in private jets. He might have helped break up The Beatles, too, for all we know. Who would take advice from him? And what about Leonardo DiCaprio? Turns out he has joined the anti-fracking effort, too. He is part of the "Artists Against Fracking" group. Again, according to the Big Green Radical ads, DiCaprio is another "environmental hypocrite." The size of his yacht proves it. DiCaprio is demonstrably too young to have helped break up the Beatles, but I bet he would have tried to do it if he had been born! The MOST virulent Big Green Radical advertisement can be seen right here. Just click that link and hold on! I want to tell you, that this ad is not only virulent; it's clever, and all these ads cost a lot of money. So, who is financing the Big Green Radical ads? No disclosure. Check the Big Green Radicals website. Not a clue. I am thinking that Big GREED (color me corporate) is bound to be involved. Yoko Ono, Robert Redford, and Leonardo DiCaprio are probably not perfect human beings (unlike, I guess we are supposed to assume, the unnamed persons who are responsible for the Big Green Radicals advertising effort). Probably, the 130+ other artists and performers who are opposing fracking are less than perfect, too. But let's just allow ourselves a moment of skepticism before we start believing any of those Big Green Radical ads. Note that these Big Green Radical ads are ALL AIMED AT PUBLIC FIGURES AND ENVIRONMENTAL ORGANIZATIONS THAT ARE LEADING THE FIGHT AGAINST FRACKING. I guess the unnamed ones want to discourage us from joining the fight. Thanks for this good sleuthing, Rochelle! Big Green radicals is a project of The Environmental Policy Alliance, which is a a project of The Center for Organizational Research and Analysis, which was, until early 2014 The Center for Consumer Freedom (formerly called the "Guest Choice Network (GCN)”), a front group run by Rick Berman's PR firm Berman & Co. for the restaurant, alcohol, tobacco and other industries. It runs media campaigns which oppose the efforts of scientists, doctors, health advocates, animal advocates, environmentalists and groups like Mothers Against Drunk Driving, calling them "the Nanny Culture -- the growing fraternity of food cops, health care enforcers, anti-meat activists, and meddling bureaucrats who 'know what's best for you.'" I really appreciate this research!